Hillary Chybinski: it's all in the experience. . .
it's all in the experience. . .
i can remember being a little girl of 6 or 7 and going shopping with my grandparents for my birthday and Christmas. . .throwing pennies in the fountain, lunch at Bambergers' Carriage House. 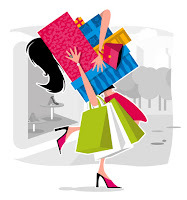 that experience is what I am looking for when i shop, especially in non-bargain/discount stores. if you are going to over-price everything, then I want the foreplay that goes with it. i want a pretty location that is clean, neat and smells fresh (at the VERY least). I want a decent bag for my purchases and I want the boxes, hangers, etc to be not broken or dirty. i have to say, i have been sorely disappointed lately, and my adventure in Macy's this week is just the most recent in a long string of disappointments. i've been searching for a great pair of black, low-heel boots. not too dressy, not too "much". . .i found a cute pair at Macy's today - they are Bandolino's. Now, the display included boot boxes, so I could help myself. . .but no one came to ask how I was making out. the store was not crowded. when i shuffled up to the counter (where 2 sales women were standing) with my broken box, the one asked the other if she had helped me. . .i jumped in with a loud "no - I helped myself thank you". ok - that was not my best manners. . .she then proceeded to put the broken box in a too-small bag and told me that was the biggest bag she had. if i had not been searching for boots since August, I would have returned them. that is how much bad service bothers me - 9 times out of 10 I'd rather do without than reward a bad store with my money. how about you faithful readers? 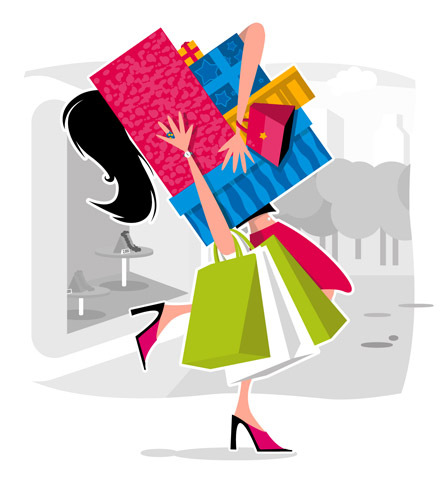 what are some of your latest shopping experiences - have they been good, bad or ugly? Oh, I just can't stand awful customer service. It would be different if I never worked retail but I HAVE. Customers DO matter. I'm definitely going to write about my experience. I have to. Thanks for sharing. I empathize! !